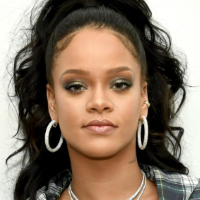 Showing 1 - 7 of 7 articles tagged "Rihanna"
Us Weekly reports Rihanna declined an offer from CBS and the NFL to headline the Feb.
Rihanna pranked Kimmel for April Fool's Day in 2015 by surprising him while he was sleeping. Rihanna posted a clip on Instagram last night of the Bravo reality show, calling it "the best clip on tv. Their performance of “Wild Thoughts” is sure to be a highlight of the Grammy Awards ceremony.